National Stationery Week has started drawing up an exciting campaign for 2019, by announcing its first headline sponsor. 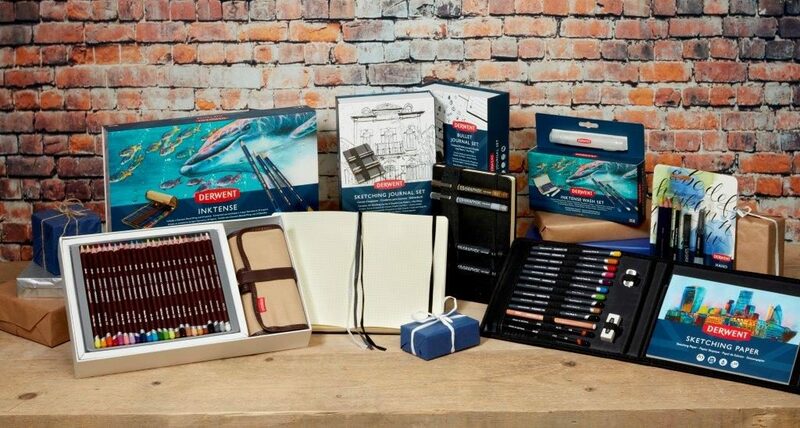 World leading art materials brand Derwent will lead the charge to promote and celebrate stationery and the art of handwriting throughout the week, which begins 29 April – 5 May 2019. Now in its eighth year, National Stationery Week 2019 is set to be one of the biggest yet, with numerous events, initiatives and social media activity all planned to capture the attention of stationery addict throughout the world. As a partner of the annual event, Derwent will take the lead on sharing tips on how to get more creative with drawing and writing whilst being the first brand to put its name to the Seven Days of Stationery. Focusing on the health and wellbeing benefits of being creative, Derwent will take charge of the Friday during National Stationery Week with its theme #FeelGoodFriday. “All brands and retailers who have participated throughout the eight years this campaign, both as National Stationery Day and Week, have greatly benefited from the worldwide PR exposure. The campaign has been talked about by many household names, hit the headlines in the most read consumer publications and trended worldwide on social media multiple times. No other consumer campaign in our sector reaches out to people like National Stationery Week and we’re expecting an even bigger campaign this year. If you would like your brand to be part of this year’s National Stationery Week campaign, please contact Vanessa directly via vanessa.fortnam@stationeryshow.co.uk or 01666 824624. Further announcements are due over the next week, so please don’t miss out.